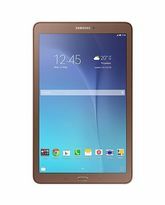 The samsung galaxy tab 4 t231 is an elegant and powerful tablet designed to provide the ultimate multimedia experience and boost productivity. This powerful tablet is sleek and features a large screen and powerful processor. You can get this sleek tablet at a reasonable price from Snapdeal. The tablet has support for a single 3G SIM via a dedicated SIM card slot. You can browse the Internet at 3G speed and make crystal clear voice and video calls on this tablet. The display on the samsung galaxy tab 4 t231 is a large 17.7 cm. The colours are vibrant and bright and you can view HD videos, play games, read books on the multi-touch capacitive touchscreen with a high resolution of 1280x800 pixels. Samsung tablets are known for their extensive processing power. The device is powered by a 1.2 GHz Quad Core processor which handles all of your power intensive tasks efficiently while still giving you enough horsepower to complete seamless multi tasking. It also has 1.5 GB of RAM so you can play heavy games and have ample spare memory for an overall uninterrupted gadget experience. The samsung galaxy tab 4 t231 is pre loaded with the Android version 4.4.2 Kitkat. The OS is incredibly smooth and has the latest features from the world of Android. The wide range of connectivity options on the tablet includes 3G SIM, Wi-Fi, USB, Bluetooth, GPS, etc. The tablet features a great combination of 3 MP rear and 1.3 MP front camera so that you can click bright photos and capture high resolution videos and also make clear 3G video calls. The front camera gives you the option to click beautiful selfies as well. 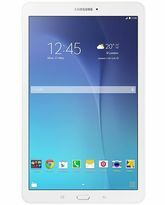 The samsung galaxy tab 4 t231 comes with 8 GB of in-built storage which can be expanded to up to 32 GB via a MicroSD card. The 4000 mAh battery gives enough juice to the device to keep it going through the day of moderate to extensive usage. 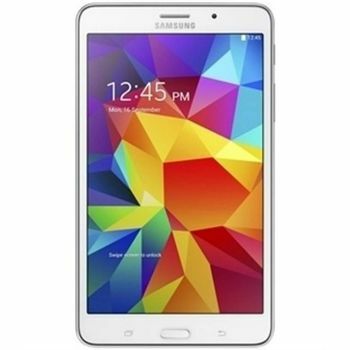 SAMSUNG GALAXY TAB 4 T231N 7INCH 8GB 3G ARABIC WHITE The samsung galaxy tab 4 t231 is an elegant and powerful tablet designed to provide the ultimate multimedia experience and boost productivity. This powerful tablet is sleek and features a large screen and powerful processor. You can get this sleek tablet at a reasonable price from Snapdeal. 3G SIM Support The tablet has support for a single 3G SIM via a dedicated SIM card slot. You can browse the Internet at 3G speed and make crystal clear voice and video calls on this tablet. 17.7 cm TFT Display The display on the samsung galaxy tab 4 t231 is a large 17.7 cm. The colours are vibrant and bright and you can view HD videos, play games, read books on the multi-touch capacitive touchscreen with a high resolution of 1280x800 pixels. 1.2 GHz Quad Core processor and 1.5 GB RAM Samsung tablets are known for their extensive processing power. The device is powered by a 1.2 GHz Quad Core processor which handles all of your power intensive tasks efficiently while still giving you enough horsepower to complete seamless multi tasking. It also has 1.5 GB of RAM so you can play heavy games and have ample spare memory for an overall uninterrupted gadget experience. Android OS KitKat The samsung galaxy tab 4 t231 is pre loaded with the Android version 4.4.2 Kitkat. The OS is incredibly smooth and has the latest features from the world of Android. Connectivity Options The wide range of connectivity options on the tablet includes 3G SIM, Wi-Fi, USB, Bluetooth, GPS, etc. 3 MP Rear 1.3 MP Front Camera The tablet features a great combination of 3 MP rear and 1.3 MP front camera so that you can click bright photos and capture high resolution videos and also make clear 3G video calls. The front camera gives you the option to click beautiful selfies as well. 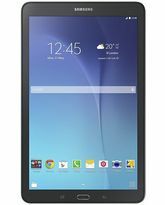 8 GB Storage Capacity The samsung galaxy tab 4 t231 comes with 8 GB of in-built storage which can be expanded to up to 32 GB via a MicroSD card. 4000 mAh Battery The 4000 mAh battery gives enough juice to the device to keep it going through the day of moderate to extensive usage.